THE 0-21 to 0-9 scoreline did not reflect the magnificent efforts of Tipperary in the first half but it does showcase once more the ability of Liberty Insurance All-Ireland Senior champions Cork to split the posts from outside the defensive cordon. With eight different contributors to the final tally, it was in keeping with a trend established by the Rebels throughout the summer of having a plethora of potential providers. Wing-back Chloe Sigerson supplied three points, including two from prodigious distances and such was the level of her performance generally that the Killeagh defender was named player of the match, though her clubmate Hannah Looney, Orla Cotter, Gemma O’Connor and Tipperary centre-back Karen Kennedy must have been contenders too. Tipperary were well in contention at half time, trailing by 0-9 to 0-6 and though Cotter had provided five points for Paudie Murray’s side, Championship leading scorer Cáit Devane converted four frees at the other end. Tipp finished the half with two points from play by Ciardha Maher and Grace O’Brien, with the first coming from a whistling shot that just flew over the bar. Tipp were unable to keep the momentum up however and Cork gradually edged away. 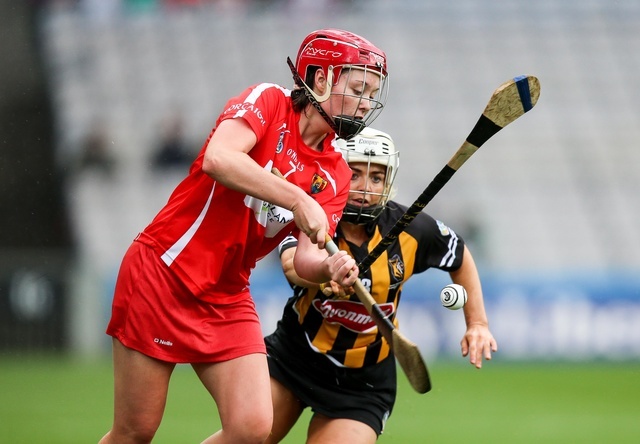 Murray introduced Briege Corkery late on for her first appearance since the 2016 All-Ireland Final and Sigerson is delighted to see the Cloughduv legend back in the fold, adding further intensity to the competition for places. “You can see Briege was named today so there’s definitely no time to be sitting back relaxing. We’re keeping on our toes. Hopefully today will keep me in a good position but next week in training, we’ll be pushing each other again and the team will be interesting again the next day. “We’re playing against the best forwards at training so when we go out on the day, we know we’re capable. She will relish the Final build-up.